More than 100 people came out to the Cherry Hill Board of Education meeting on Jan. 24 and engaged in a discussion of whether the racial slur should be permitted in the school musical after school officials announced offensive language would not be included in the school’s production. 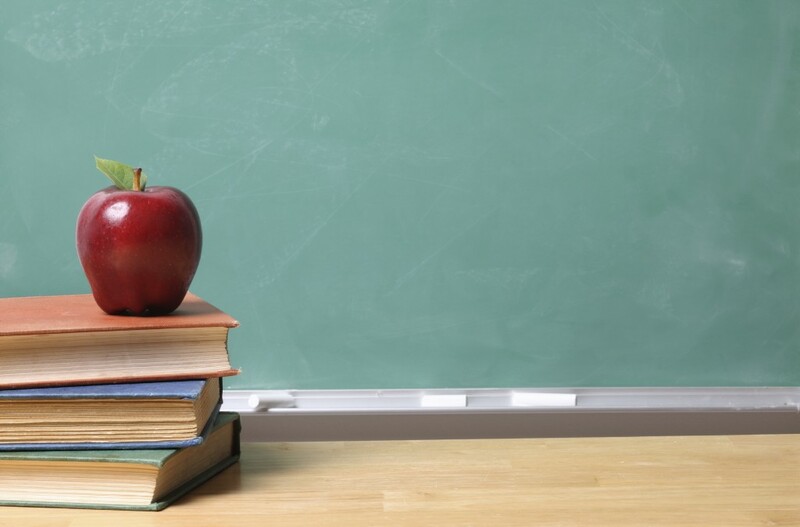 It was a phrase Cherry Hill Public Schools Superintendent Joe Meloche said in a statement prior to public comment at the board of education’s action meeting last Tuesday. 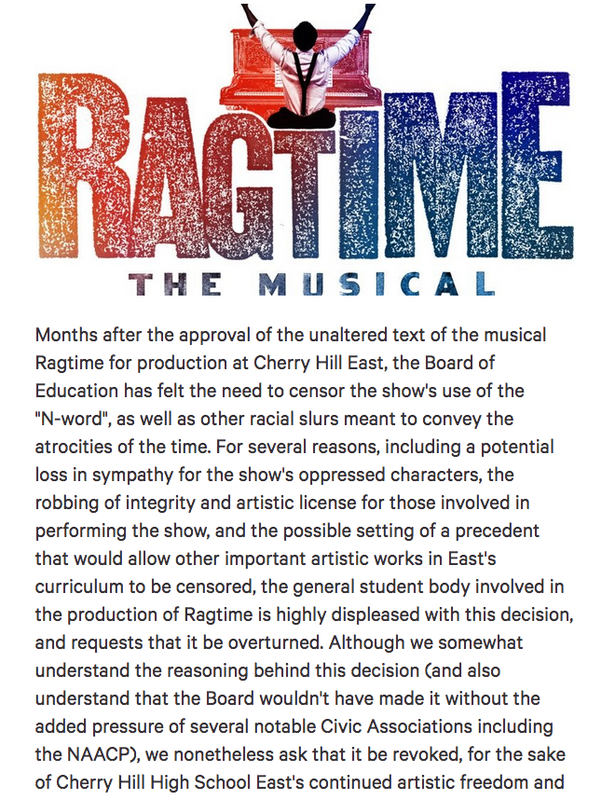 It was a phrase repeated by people who supported the school district’s announcement on Jan. 20 to keep the N-word out of Cherry Hill High School East’s upcoming spring musical, “Ragtime.” It was also a phrase said by those who did not support the district’s the decision on the matter. A lot of words were said at the board of education meeting. During three hours of public comment, people of all ages, races and backgrounds made their voices heard on whether they felt the school district should censor “Ragtime,” scheduled to open at Cherry Hill East on March 10. Many hope a solution can be found. However, there is uncertainty as to what will happen with the play. On Jan. 20, Cherry Hill school officials stated the N-word would not be used in Cherry Hill East’s “Ragtime” in March. The announcement came just a day after a letter from the Camden County East NAACP was posted on social media. The organization was concerned the school was considering leaving the N-word in the musical. “Parents from the community have voiced their objections to this public sanctioned racially derogatory use of the N-word disguised as ‘literary freedom,’” the NAACP’s original letter read. Set in the early 20th century, “Ragtime” focuses on three families from different ethnic backgrounds. The show highlights racial tensions and diversity issues occurring during the time period. A few days after the district’s announcement, theater students from Cherry Hill East started a petition asking the school district to reverse its position and not censor the show. The petition was posted to change.org and received more than 1,500 signatures in less than 48 hours. A petition asking the Cherry Hill Board of Education to reverse the school district’s decision to censor the musical has garnered more than 1,500 signatures. Many of the theater students involved with the production attended the board of education meeting to make their voices heard on the matter. Cedric Middleton was cast as the character Colehouse Walker Jr., an African-American man who is oppressed during the show. Growing up as an African-American, Middleton said he always had an emotional connection to the civil rights movement. However, he added he felt the N-word should remain in the show because of how it teaches about the evils of racism in the past. “I firmly believe ‘Ragtime’ should be performed without censorship, so that everyone involved can see the ugliness in history so we can progress forward to a better community and a better world,” Middleton said. Senior Ezra Nugiel is one of the characters who has the N-word in his script and agreed with Middleton on what the N-word means in the show. A number of parents, residents, alumni and theater professionals also sided with the students, asking the district to reverse its stance. Cherry Hill resident Bruce Schwartz noted “Ragtime” includes racial slurs toward other ethnicities, including Jews. As a Jewish person, Schwartz said he wasn’t going to let a slur get in the way of understanding what the show is about. “‘Ragtime’ the musical is a profoundly anti-racist show and should be performed as intended,” Schwartz said. Parent Nancy Walker Hunter described first-hand her experience regarding the discussion. She wrote a letter a couple weeks ago to school officials about the use of the N-word in the musical following a meeting with other parents in early January. “I questioned the use of the word because I knew the impact of it and I didn’t understand the intent by the choice of the play,” Walker Hunter said about her letter. Walker Hunter added when she wrote the letter to the district, she never intended for the show to be shut down and hopes an equitable solution can be found to resolve the issue. Representatives from the the Camden County East NAACP, CHAACA and others spoke in favor of the district’s decision to censor the word. Carey Savage, first vice president of the Camden County NAACP and a former school administrator, said the community shouldn’t need to hear the N-word to be educated about racism. Lloyd Henderson, president of the Camden County East NAACP, said including the N-word in the production is not a workable solution. Henderson thanked the Cherry Hill school district and Meloche for taking a stance on the use of the word. McCargo also thanked Meloche for the decision the district made the previous week. A question people on both sides brought up Tuesday night was why it took so long for the issue to come up for community discussion. Many felt a discussion should have taken place months ago, closer to when “Ragtime” was selected as Cherry Hill East’s 2017 musical last spring. Danny Elmore, second vice president of the CHAACA, was one of those who questioned why the discussion was taking place a little more than a month prior to the show’s opening instead of when the show was selected. “We need to, in the community, come together and discuss both sides of this issue,” Elmore said. McCargo agreed, saying discussions on racial issues in the show should have been done before the musical was selected last year. “The cart was put before the horse,” she said. Steve Robbins, a former board member, also questioned why these questions weren’t asked last year and felt the district failed in how it handled the decision. “The time to have this discussion is before you approve this production,” he said. The musical’s fate is still to be determined. Though Cherry Hill East school officials already said the N-word wouldn’t be said on stage, Meloche added Music Theater International, the company owning the license to “Ragtime,” must approve any alterations made to the show. If the alternations are denied, many of the theater students expressed concern the show would be canceled. “I don’t want the story to be cut,” student Jaclyn Orlando said during the meeting. The board of education did not take any action on the musical at the meeting.